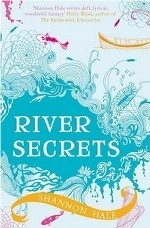 Аннотация к книге "River Secrets"
War between Bayern and Tira is finally over. To cement the peace with their old sworn enemies, a group from each kingdom will cross to the other for a `season of friendship`. At first all is well, but mysterious events in the Tiran capital arouse suspicions and anger bubbles just beneath the surface. Enna`s friend Razo must find out who is masterminding these events before it`s too late and they find themselves trapped in the heart of Tira as war breaks out.